Today, Seattle is a bit on the soggy side, and it’s definitely grey. I am disappointed to report that this morning I have been a little grumpy (huge understatement), but I am hitting the reset button RIGHT NOW. 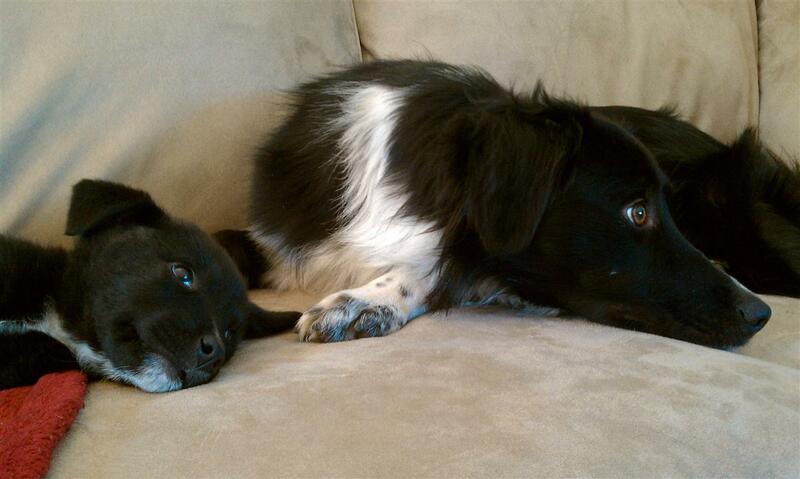 This is one of my most favorite pictures of Mia as a pup with her big brother Dodger. Look at how sweet they are together. My heart melts every time I look at it. I hope this Dodger & Mia Flashback Friday gives you the warm and fuzzies too. Now that we are all smiling because of this cute photo, let’s celebrate Friday’s arrival! It’s been a long week and I couldn’t be happier to know that the weekend is right around the corner. I love to sleep in a little, snuggle with my hubby and pups in bed, make delicious breakfasts, and I am so excited to be celebrating my 6th wedding anniversary this weekend (more on that later). Life In Photos: Bought Something off the Wish List!